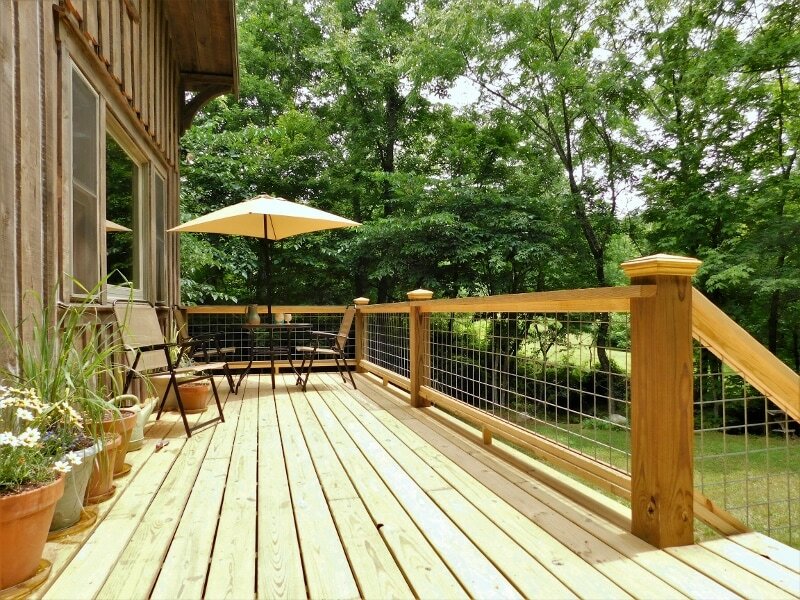 Asheville has the perfect climate for relaxing outdoors, which is why building and repairing decks is one of our most popular services. 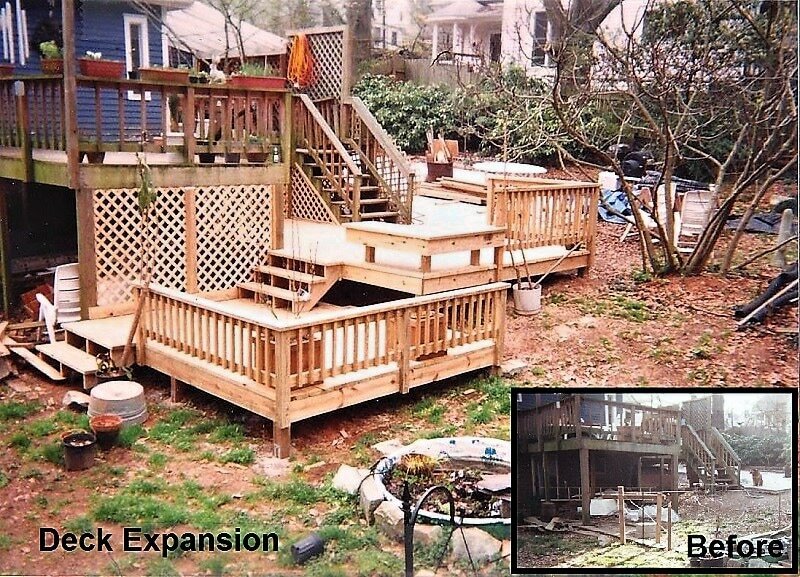 We install new decks up to seven feet off the ground, and we can also help you expand your existing outdoor space. Here's an example of one of our projects, which included seating for guests, plus new stairs, new railings and multiple platforms which hug the sloping terrain of the yard. 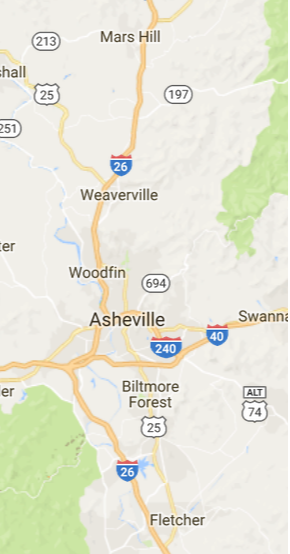 What a great place for a party! Another popular service is beefing up existing banisters to make them sturdier and more attractive. This is one of those small upgrades that can make a big difference on the curb appeal of a home. 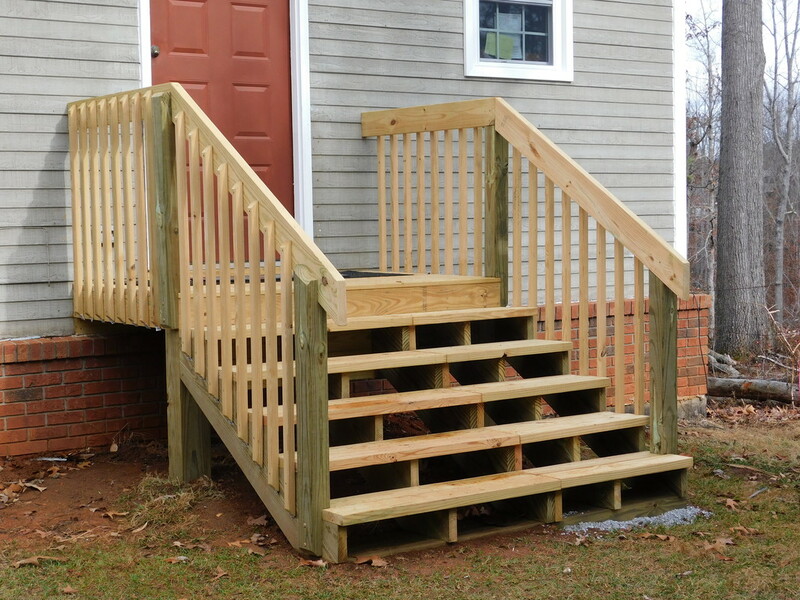 Keeping your outdoor spaces in good repair is an important part of maintaining your home value. Why not have a professional do the job right? Call us today to get started.